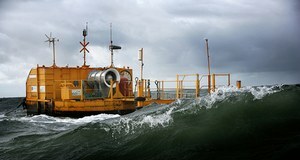 IBM is collaborating with The Sustainable Energy Authority Ireland to measure the noise output from a wave energy installation of the west coast of Ireland, which is one of the world’s most promising areas for wave power development. The acoustic data will be collected in real-time, and will will produce one of the largest continuous collections of underwater acoustic data ever captured. This data will be made available to marine researchers and regulatory agencies to further advance knowledge of natural and man-made underwater sound, and help develop standards and reporting, benefitting marine environmental agencies as well as industries including renewable energy, shipping, and offshore oil and gas.